For those who are regular readers of Bridge of Memories, have you noticed that my outfit related posts have significantly decreased over maybe half a year now. I am trying to direct this platform to be more lifestyle and travel focus, aiming for like-minded people to source inspiration and information for their travels as well as general well-being. Whether it is from health, interior or even that fashion. It has been a while as well I have made a personal blog post, talking about my life updates or updates to the blog. 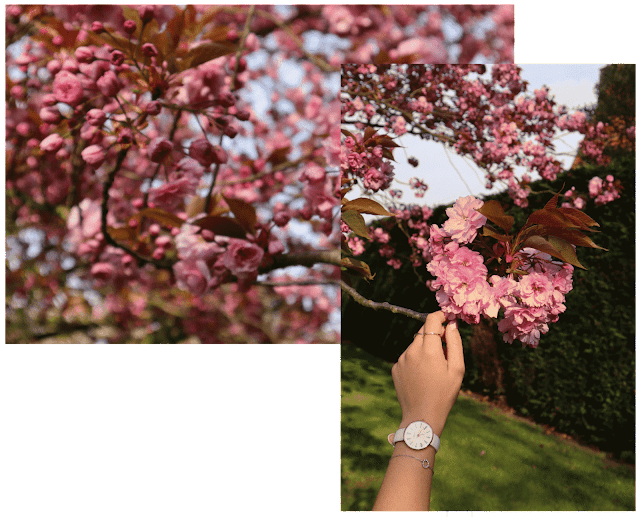 While I was gifted this white Adexe watch from their new Sistine collection, I have used this opportunity to actually talk about time. Making the time count, because our time is now. Check their new collection of small strap and minialistic watches and get yours to count the time with 15% off using THUYPHAMTT15 code! Even though these new watches from this collection is aimed for ladies, you can use the code for any purchase on their website! I got myself the snow white option, because I didn't have any white or light colour watch in my accessories closet, and it was a great addition, because white is sophisticated, feminine and suitable for any outfit combination. 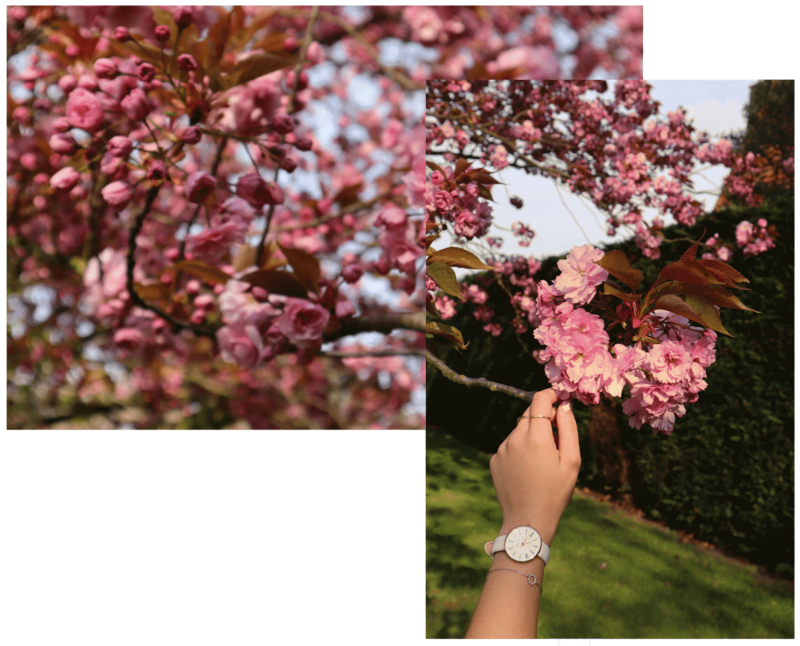 Did you knew that Adexe watches are designed in London? So why not support local artisans? 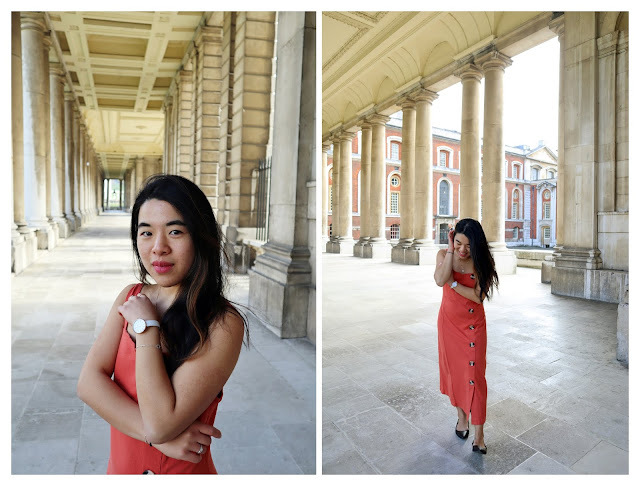 In these outfit pictures below, taken on a spring day of London, I am wearing long orange/coral dress from Asos. Now back to Bridge of Memories (BoM). Since my directed focus on lifestyle and travel, I have been focusing on creating relevant content around it. Not only my interest in quality travel is increasing year by year, but also I found myself so many times struggling finding information on travels. I wanted a place with all needed information in one place with the opportunity of digging into it more, rather then opening so many page tabs and tearing the content out from many pages. And that is why, I started to consistently writing up my travel guides, travel tips from my journeys and emerged into creating some vlogs, which more less at the moment showcase a sneak peak of the city, rather then an actual travelling guide video. Planning to put more emphasis on this, so would be grateful for any support on my Youtube channel! 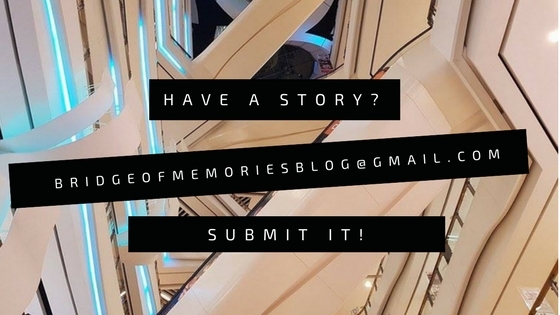 Meanwhile my list of contributors have increased over the year, Bridge of Memories is always open for new contributors within this topics. Whether you are looking for a place to share your ideas as well or would like to establish your writing skills, I have created a new page called "Contribute" where everybody is open and encouraged to submit their pieces to BoM. In addition to this, I have created "The Creative Nomad" newsletter subscription, which aims to create a group of like-minded travellers and global citizens to stay connected. At the moment, I am trying to grow this list and start creating amazing content for subscribers. Whether these will be some articles from others, travel tips or discounts that will be just shared with subscribers. So make sure to leave your email and name and get on-board with like-minded people! Last thought from me to BoM, I established a regular time for publishing posts, always expect new post come out on Wednesday's and Saturday's! However, I sometimes it is hard work to keep stay ahead of the game and create content in advance. For me, I always seek for good quality and informative content, so if I won't post anything, it is just purely I don't have a good piece for you to share and I would prefer to take my time to create these pieces, rather then just posting something for the sake of posting. Hence if you would follow my social media channels, especially my Instagram, you will always get some updates on new posts. 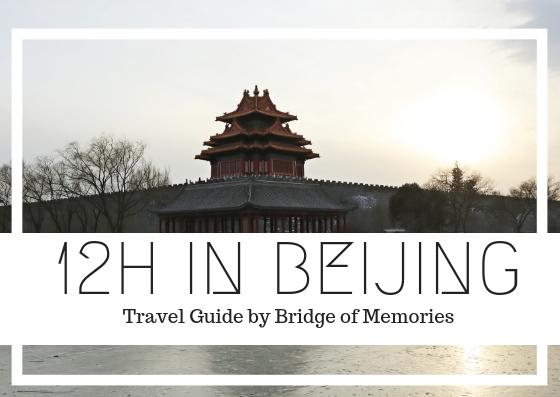 Alternatively, follow me on Bloglovin' to get the updates on Bridge of Memories. Been working on BoM for many years now and it is still my passion for myself and for all of you. Thank you for your support, whether you are a returning visitor or a new one. Also thanks for those who managed to read it up until here! "Barcelona is an enchanting seaside city with boundless culture, fabled architecture and a world-class drinking and dining scene." (Lonely Planet) That's pretty summarises what Barcelona is about. If you are heading to Spain, it is a destination for sun and fun seeking people. It is a cosmopolitan capital of Spain's Catalonia region. The famous landmarks of Barcelona you may know is for example La Sagrada Familia church or architectural buildings by Antoni Gaudi. In fact, all Barcelona landmarks will be around Gaudi's work. Barcelona can be a very popular destination for both locals and tourists, due to the vibrant nightlife, drinking and dining scene, festival and beaches nearby. Whether you are looking for budget or high class travels, read more to get some further insights into what to do, see and where to go. 1. La Sagrada Familia The large unfinished Roman Catholic church is designed by an architect Antoni Gaudi, from which you sill see many other landmarks around Barcelona. The fascinating building is surrounded by a park from which you can have great views too! 2. Park Guell The largest public park in Barcelona located on Carmel Hill at the north of the city. Come and visit the park and landmarks designed by Gaudi, make sure to purchase tickets in advance to avoid long queues. This park is also declared under UNESCO Heritage Sites. 3. Casa Battlo Casa Battlo is one of the buildings in the center of Barcelona deisgned by Antoni Gaudi and it is considered as one of his masterpieces. The house was redesigned in 1904 and refurbished several times after that. Like everything Gaudí designed, it is only identifiable as Modernisme or Art Nouveau in the broadest sense. The ground floor, in particular, has unusual tracery, irregular oval windows and flowing sculpted stone work. 4. Casa Mila Not far from Casa Battlo, you will find Casa Mila, known also as La Pedrera or "The stone quarry". It is referred to rough appearance of the building. It was the last private residence designed by Gaudi between 1906 and 1912. 5. La Rambla La Rambla is a long boulevard in the city center of Barcelona, here you will many many street vendors, accommodations, entertainment and shopping places. Walking north, you will get to Gaudi's buildings and walking all the way down at La Rambla, you will get to the beach. And anywhere in between, you can get into Gothic Quarter. 6. Gothic Quarter The charming Gothic Quarter or known as well as Barri Gotic is narrow medieval streets filled by bars, clubs, restaurants and shopping in the city center. Explore the quarter for Mediterranean vibe and markets. 7. Montjuic Montjuic is a hilled area stretching from the seaside to Placa d'Espanya. Here you can find Magic fountains, National art museum of Catalunya or Montjuic castle. The stunning magic fountain is situated across several levels up to the museum, from where you can have beautiful views on Barcelona. Actually, this whole Montjuic hill area will give you spectacular views. 8. Place de Catalunya The large square in central Barcelona where thd old city and the 19th century Eixample meet. It is a hub for airport transport as well as a getaway to La Rambla and Old Quarter. 9. Picasso Museum Fan of Picasso? Then visit Picasso Museum for extensive collections of artworks by a Spanish artist. 10. Cathedral of Barcelona The Cathedral of the Holy Cross and Saint Eulalia is also known as Barcelona Cathedral is located in the Gothic quarter of Barcelona. The cathedral was constructed from the 13 to 15th century. 11. La Barceloneta seaside La Barcelona is a neigborhood around the seaside of Barcelona. Great for afternoon chill, surg or sunbathing. What could be great to have a vibrant city life and nearby seaside for relaxation? The long promenade can somewhat look like LA with palms around around restaurants and bars. There is also a nearby cable car which will offer you panaromic city views on its way to Montjuic hill. 12. Ciutadella Park and Triumphal arch The park located in the north east of Barcelona is the only green space in the city. The park is beautiful in many ways, you will find parliament located in there, as well as ZOO or Cascada Monument. Just across the park, you will be able to see Triumphal arch, a monumental structure in the shape of an archway. 13. Tibidabo cathedral and amusement park The Temple Expiatori del Sagrat Cor is a Roman catholic church with minor basilicas is located on the summit of Tibidabo hill. If you will travel to this area, visit also an amusement park and nearby parks. Tibidabo mount will give you breath taking views on the whole Barcelona! 14. Guel Palace The Palau Guell is a mansion designed by Gaudi between 1886 and 1888, situated in El Raval neigborhood. 15. Placa Reial The beautiful square close to La Rambla is a great spot for enterteinment, dining or drinks. It is a popular square for events and other celebrations. 16. Place d'Espanya Plaza de Espana is one of Barcelona's most important squares, built on the occasion of the 1929 International Exhibition, held at the foot of Montjuïc district. 17. Casa Vicens Gaudi Casa Vicens is a house designed by Gaudi and now it is open as a museum. It is considered as one of the first buildings of Art Nouveau and the first house designed by Gaudi. 18. Haudi House Museum The Gaudi house museum is located within the Park Guel and it was a residence of Antoni Gaudi for almost 20 years. It is now open as a historic home museum and you can come explore the architect's collection and life. 19. Basilica of Santa Maria del Mar Santa Maria del Mar is a church built between 1329 and 1383 is an example of Catalan Gothic architecture. 20. Camp Nou stadium What more to say to football fans? Visit Camp Nou stadium, a home for FC Barcelona. This stadium is the largest in Spain and Europe apparently. 21. Fundacio Joan Miro Lovers of modern art should visit this museum honoring Joan Miro located on the hill of Montjulic. A space to discover his contemporary work. 22. Hospital de Sant Pau Who would expect that a hospital would be also under UNESCO World Heritage Site, right? This former hospital in the neigborhood of El Guinardo is a complex built in 101 and 1930 designed by the Catalan modernisme architect Lluís Domènech i Montaner . Until 2009 it was a full functional hospital until when they opened a new hospital building nearby and use this as a museum and event space. 23. Cable car ride There are two types of cable cars which you can take in Barcelona, either Port cable car or Montjuic cable car. Both of them will give an amazing city view and a s shortcut way to the other end. 24. Pont Gotic On this small medieval street Carrer del Bisbe also called as Bishop's street, you will find a stunning neo-Gothic bridge (Pont Gotic). This street is located not far from Barcelona cathedral in the Gothic quarter. 25. "El beso" de Joan Fontcuberta Just a last thing to mention if you are already scrolling around the gothic quarter, you may find a rural exhibit of a kissing scene known as "El beso" by Joan Fontcuberta. It is an interesting piece of outdoor art, because this whole image is composed of many small pictures. In Barcelona you will never struggle to find a place to eat and drink. Whether you are looking for brunch, tapas, sangria or snacks. 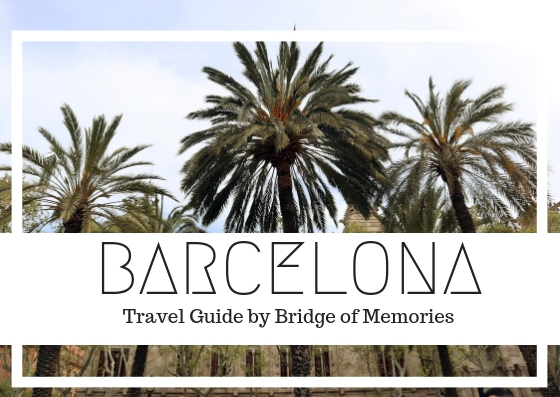 From international cuisine to local vendors, Barcelona has a wide offering and here is a list of 10 places to visit. From coffee shop, brunch place to tapas place. Don't forget that Spanish people enjoys their siesta times between 2-5ish and a lot of shops will be closed, so what is the best time to sit down for some tapas or 1L of sangria? Make sure to try out paella, Spanish tortilla or garlic prawns. The city is full of accommodation choices. Whether you are looking nearby the beach or in a city, you have it all at different price points. For this trip, we have opt in for Airbnb stay on La Rambla, which ease our access to walk around whenever we needed as well as get the tube just in front of our stay easily. As I always recommend, check both Airbnb and Hotels situations and compare to what it will be the best for you. Make sure to also use the links via my blog to get some discounts! Barcelona is fairly walkable. However, it is well connected by metro as well. One way single ticket costs 2.20 Euros. However, if you are planning to use multiple times, then maybe it is worth to consider buying 10 tickets or more in bulk for 10,20 Euros. You can get tube or bus to the airport from Plaza Espana or Plaza Catalunya. The one way ticket to the airport cost anything between 4,50 euros to 5,90 euros. If travelling by bus, you don't need to change anywhere and no need to buy tickets in advance. You can also consider hiring bicycle if you would like to cycle around the boulevard or Barcelonata.